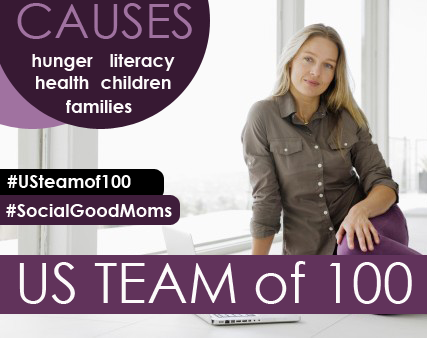 The US Team of 100 is a dedicated, advanced group of digital moms who spread the word about pressing domestic issues including hunger in the United States, health, literacy, education, children and families on their blogs and via social media. 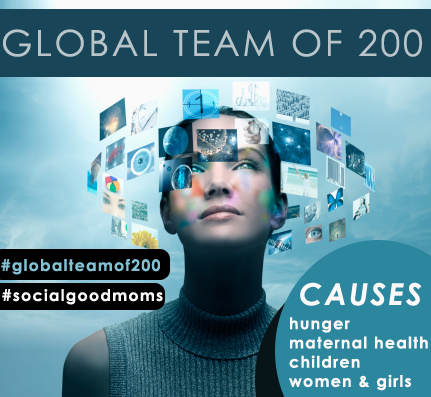 The US Team of 100 is on the front lines of the more than 1000 members of Mom Bloggers for Social Good leading them in robust, poignant blog posts that consistently educate and inform readers about the work Mom Bloggers for Social Good’s partners do to better the world for people in need. If you would like to become a member of the US Team of 100 please apply below. Appointment to the US Team of 100 requires a yearlong commitment and two blog posts and social media mentions of social good issues each month. All campaign materials and education will be provided for your convenience. We are looking for the best and brightest and most committed to join the team! Apply below or click here to apply if you don’t see our form.